Disastrous flooding in North Queensland has left many families and individuals in need of assistance in their recovery. 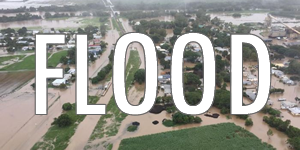 The Rotary Club of Townsville South West (District 9550) has established an appeal designed to assist those families and individuals whose needs are not covered by insurance and Government assistance. The project manager is PDG Robert Tardiani. Please click on Donate Now button below to make your donation. 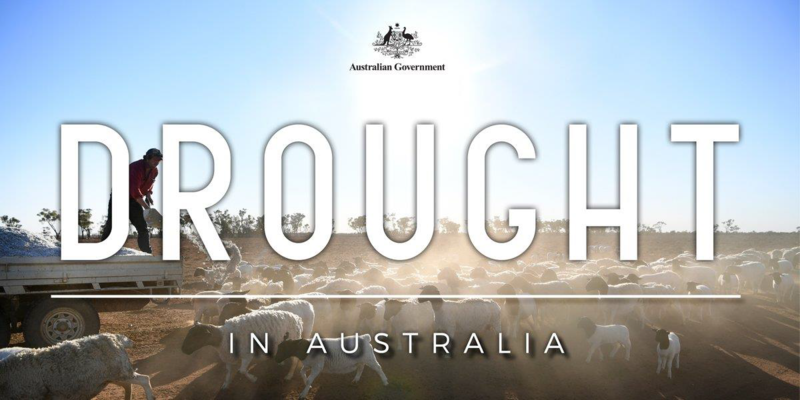 After a 7-year drought, it’s very clear that our farmers and their families, the backbone of Australia, are doing it exceptionally tough. The National Farmers’ Federation, Channel 9 and Rotary in Australia established an appeal on 1 August 2018 to work together to raise much needed funds from the very generous Australian public. This appeal closed on 30 September 2018 raising in excess of $10 million, with $8.1 million already being distributed direct to farmers and their families. Rotary Australia World Community Service Ltd [RAWCS] has initiated a new appeal to continue the work of the above appeal. RAWCS has established seven Rotary District drought relief projects in the whole area impacted by this drought, west of the Great Dividing Range, from far North Queensland to Victoria. Some 200+ Rotary clubs and their local members are dealing directly with farming families needing assistance. Our emphasis is addressing the mental health issues caused by the drought, “Wellbeing rather than Welfare”, by direct contact and financial support, and involvement together through a range of community activities of those affected. Federal Regional Services Minister, Victorian Nationals Senator Bridget McKenzie said a key element of the support was the provision of vouchers to be redeemed at local businesses. Senator McKenzie said the three charities were chosen because they were already on the ground in drought regions and were best suited to deliver immediate relief, across all eligible Local Government Areas. Rotary Australia World Community Service Ltd.(RAWCS) was formed to enable Australian Rotarians, Rotary Districts and Rotary Clubs to assist disadvantaged communities and individuals through humanitarian aid projects. RAWCS is a financial infrastructure system that facilitates fundraising for projects that deliver humanitarian aid and charitable support in Australia and overseas. Projects are registered through Rotary Australia Overseas Aid Fund (RAOAF), Rotary Australia Benevolent Society (RABS) incorporating Rotary Australia Compassionate Grants (RACG), Rotary Australia Relief Fund (RARF), Donations in Kind (DIK) and Rotarians Against Malaria (RAM). RAWCS could be likened to a trust account, where funds are held and then directed to registered projects. RAWCS assists with project planning and handles regulatory requirements thereby minimising the risks associated with fundraising and the management of funds. RAWCS has Deductible Gift Recipient (DGR) registration and has been listed as a Charitable Fund that can accept tax deductible donations from individuals and organisations. From the 1 July 2018 all donations will be subject to a service charge of 2.75% (2.5% plus GST). This rate compares favourably with the service charges of similar organisations, which are generally between 5% and 10%. This change will ensure RAWCS’ long-term financial sustainability and high standard of project facilitation. Large corporate donors and philanthropic organisations have previously used RAWCS services to take advantage of our DGR (Deductible Gift Recipient) status and paid services charges on donations. This allowed services to be provided to Rotarians, Rotary Clubs and Rotary Districts at no charge. Recently, however, a number of these organisations have received DGR status from the government. This has resulted in a dramatic drop in this RAWCS income stream. The delivery of all services has costs associated. For RAWCS to continue its high standard of project service delivery and accountability the Board has resolved to end the exemption previously given to Rotarians and Rotary Clubs. Thank you for your understanding. Know which project you wish to support? Use our new quick donate function.